Delicacy of design that exists only in Japanese sense, Functionality to pay attention to detailed point. It has sticking to to which the compromise is not permitted and the-making of a sensibility degree high potrto is pursued. 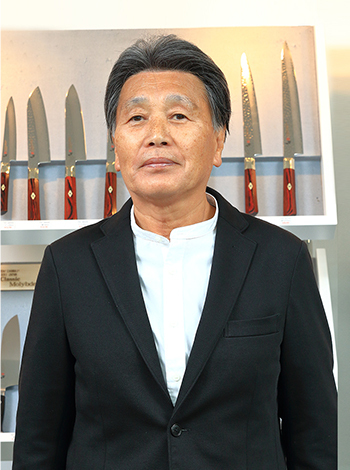 The modern cutlery industry was born with the industrial revolution, and now thanks to 21st century technology Japan leads the field in the world of knife production. We, Marusho Kogyo Inc., equip our workshops with the latest machines, create the most innovative knives, and constantly push new boundaries through daily production. We believe it is our mission to supply the highest quality products to our clients across the world while maintaining age-old Japanese traditions. We believe in maintaining complete control over the manufacturing process, and our master craftsmen infuse all our products with the pride and traditions inherited from centuries of Japanese blade makers.